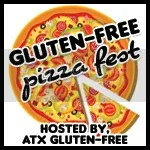 ATX Gluten-Free | Serving up Stylish, Original and Healthy Recipes from a Gluten-Free Personal Chef and Nutritionist. Gluten-Free News for Austin, Texas. Happy Super Bowl week! We are gearing up for an epic gluten-free Super Bowl party here at ATX Gluten-Free. We will definitely be serving these burgers. As well as some other gluten-free appetizers and cocktails, of course. The buns used in this recipe were kindly provided by Gluten-Free Kneads. They are the official sponsor for our Gluten-Free Pizza Fest. Find Gluten-Free Kneads at several locations around town, or order online. Stay tuned for the launch of our new website this month. It has been a fun process and I can’t wait to share the results with you all. Pre-heat oven to 350 degrees Fahrenheit. Pre-heat a large, deep skillet to medium-high heat. Coat the bottom of the pan with olive oil. Add sliced onions and spread into an even layer in the pan. After 10 minutes, add, salt, sugar and balsamic vinegar. Let cook for 30 minutes to 1 hour (or more), stirring often. You will know the onions are done when they are a nice, golden brown. Pre-heat another skillet (preferably cast iron or oven safe) to medium-high heat. Place ground sirloin, egg, parmesan cheese, spices and 1 tablespoon barbecue sauce in large mixing bowl. Mix ingredients with hands and form 4-6 small hamburger patties, leaving a small indention in the middle of the patty. Add oil to skillet. Sear hamburgers on both sides, about 5 minutes. 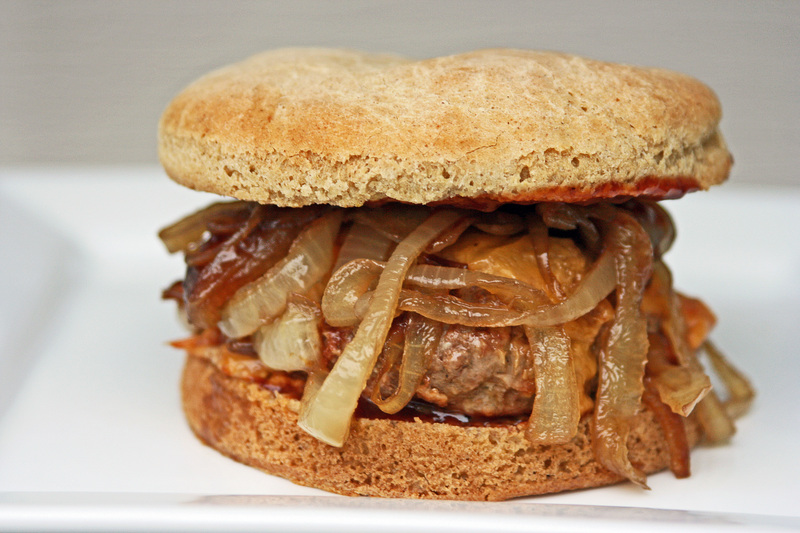 Top burgers with sliced cheddar cheese, pour more barbecue sauce into cast iron skillet, on top of burgers. Bake in oven until burgers are medium-well done, depending on your preference level (about 12 minutes). Serve on a gluten-free bun. Looking for a sauce that will jazz up your chicken or pasta dish? 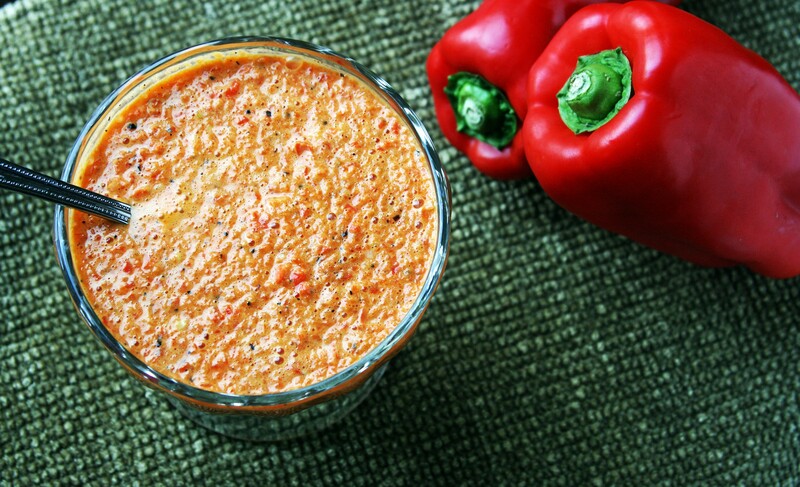 Look no further than this roasted red bell pepper sauce. I’m pretty sure it is my new favorite. I was actually eating it by the spoonful when my boyfriend (known as Chris from here on out) wasn’t looking. No, I am not kidding. We have been testing pizza recipes non-stop here in the ATX Gluten-Free kitchen. It was time for a change of pace this weekend, so we turned to America’s favorite animal protein (chicken), and took it to the next level. This sauce did just that, and I was actually excited to eat leftovers the next day. It seems with leftovers, you either love them or you hate them. This time I loved them! 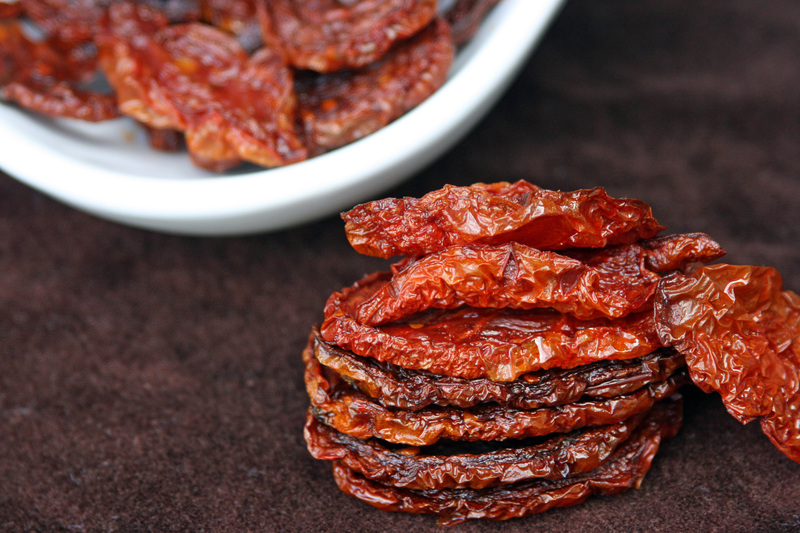 Start by slicing off the tops of the bed peppers and pulling out rims and seeds. Begin roasting the bell peppers either in the oven (high broil, turning periodically to char all sides), or directly over burner on stove top (char lightly all sides). Place roasted bell peppers in bowl, cover with saran wrap and let stand for 5 minutes. In a food processor, combine bell peppers with char on (for rustic flavor) or off, and the remaining ingredients. Pulse till a smooth consistency. Pizza, pizza and more pizza. That is about the only thing we have seen in Chef Jess’s (my new nickname) kitchen the past couple weeks. I’ve been busy testing all kinds of pizza recipes for my Gluten-Free Pizza Fest event, which will happen in February. Don’t get me wrong, I love pizza, but sometimes it is nice to have a big bowl of vegetables. Preferably raw, with just the right hint of acidity. It’s perfection. Don’t knock it till you try it. 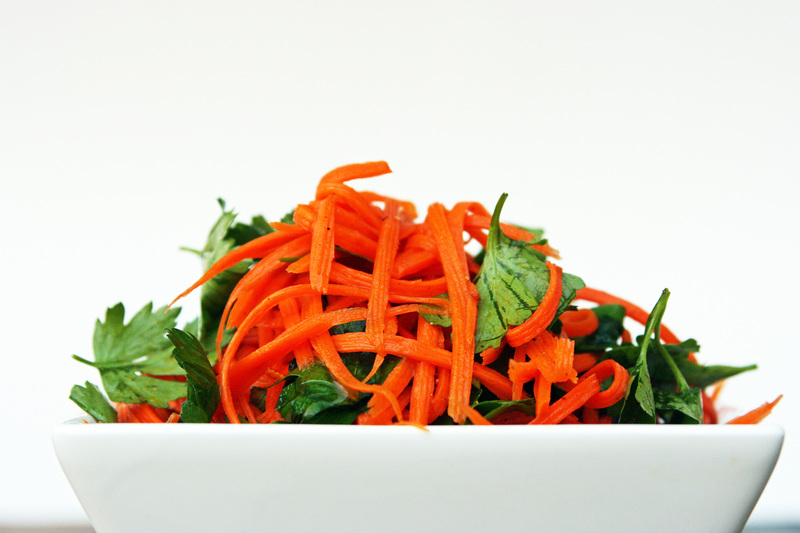 Using a Titan peeler (the larger one), peel carrots into spaghetti-like strands. Place in small mixing bowl. Add remaining ingredients and mix well. Serve at room temperature. 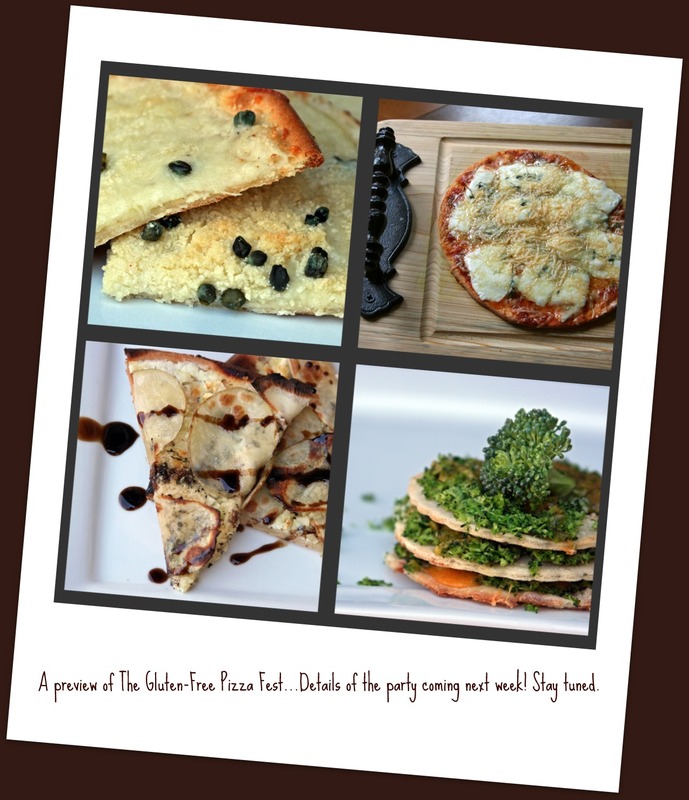 Don’t forget to check out the recent post about Gluten-Free Pizza Fest. The dates are set. 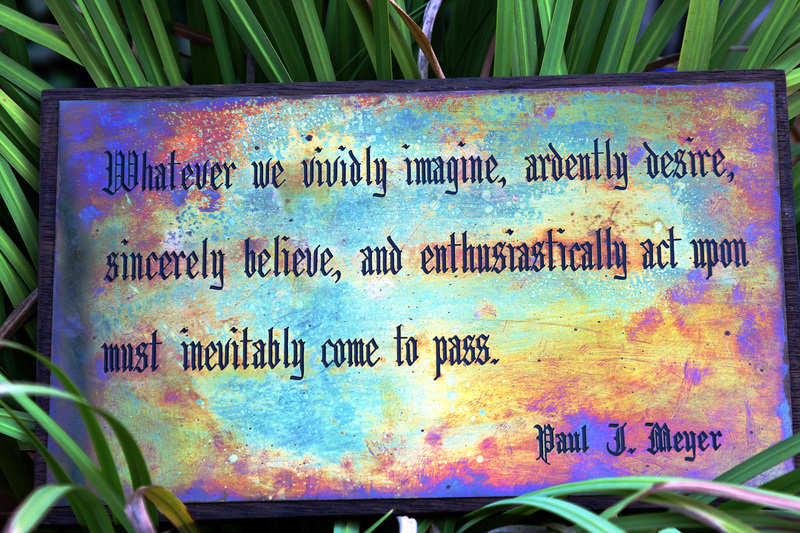 We would love for you to join us! I’m guest blogging today over at Athletic Foodie. Head on over to check out my article on Exercise and Electrolytes. This post is linked to Slightly Indulgent Tuesday.